SANDRA J. (ZIEGLER) SEIBERT, is a 1956 graduate of Kutztown Area High School, Kutztown. She, along with her husband, owned and operated the former Schappell’s Hardware Store, Topton for 32 years, retiring in 1999. Sandra is a member of Saint Paul’s Lutheran Church, Mertztown, and Topton Lioness Club. An avid baker and dessert maker, Sandy works part-time in the bakery at Weis Markets in Kutztown. Sandy and her husband, Dennis, reside in Topton and have a daughter, Dawn, granddaughter, Alison and grandson, Andrew; and a great- grandson, Miles. 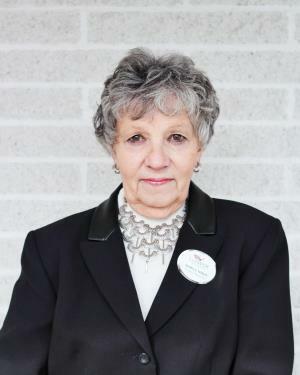 She has been a member of our funeral home staff since 2000.